When it comes to taking care of your teeth and keeping your smile looking great, your toothbrush plays an essential role. But, how much thought do you actually give to your toothbrush when selecting one or caring for it over time? Probably not much! Choosing the right toothbrush, caring for it, and knowing when to replace it are all essential components of great oral health. Below, we discuss each to ensure your toothbrush is helping rather than harming your smile! Head Size – For most adults, the toothbrush head should be half an inch wide and one inch long. This will help to ensure that all surfaces of the teeth can be reached. Bristle Type – Soft bristles are ideal for most people; they feel best on the teeth and gums and are least likely to cause unanticipated harm. Medium or hard bristles have the potential to damage gums, enamel, and root surfaces. Professional Endorsement – Often, your dentist will recommend a particular brand and/or type of toothbrush based on your oral health needs. It’s best to heed their advice or at least look for a toothbrush with a seal of approval from the American Dental Association (ADA). Never Share Your Toothbrush – Sharing a toothbrush also means sharing bodily fluids and/or microorganisms. This increases the risk for infections and should never be done (not even between family members). 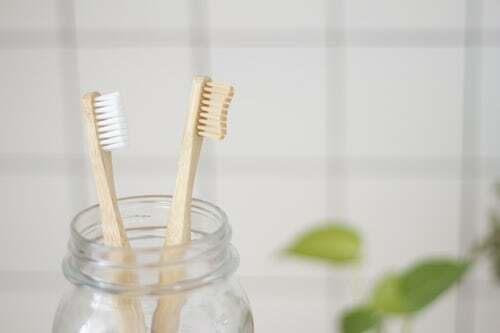 Never Store Your Toothbrush Without Rinsing First – After brushing, you should rinse your toothbrush to get rid of remaining toothpaste and debris. If you have an immune disorder or systemic illness, soaking your toothbrush in an antibacterial mouthwash after brushing can help remove bacteria and germs. You can also run your toothbrush through the dishwasher to clean it. Never Cover or Keep Toothbrushes in Closed Containers – Moist environments can promote the growth of microorganisms. Instead, store your toothbrush in an upright position and allow it to air dry. Extensive Wear – Once bristles begin to fray, they no longer clean the teeth and gums properly. If you notice your bristles are wearing faster than 3 to 4 months, you may be brushing too hard and need to lighten up your technique. After Sickness – Bacteria can remain on your toothbrush after you have recovered. To avoid getting sick again, you should replace the brush. Most people know that it is important to brush your teeth at least twice a day. But, if you aren’t using the right toothbrush, caring for it properly, or replacing it regularly, you could be causing damage instead of boosting oral health. The information above will help you ensure that the tool you use most frequently to keep your teeth healthy and your smile bright is doing its job. Whether you’re stressed or just anxious, teeth grinding, also known as bruxism, comes in many shapes and forms. And while the occasional grinding doesn’t hurt and is quite common, constant grinding can wear down your health in more ways than one. The worst part of the condition is that it can be difficult to know whether or not you’re affected. Why? Because most grinding occurs during rest, meaning that while there are symptoms of a dental issue, it is not immediately apparent what the cause is. By understanding the causes of and preventative care for bruxism, you can find relief from the condition and ensure that both your teeth and your general health are as vibrant as possible. Put simply, bruxism is a condition characterized by the clenching or grinding of teeth. Most often, the condition affects individuals at night in a condition specified as sleep bruxism, however it can also occur during the day. Bruxism is a quite mysterious. In fact, many health professionals find it incredibly difficult to identify a specific cause for the condition. Emotions – Anxiety, stress, anger, or frustration, can trigger bruxism. Coping or Focus Strategy – Some clench or grind teeth to alleviate pressure or help them focus. While this often occurs during the daytime, individuals may still be unaware that they’re doing it. Oral Structure – Individuals with poor teeth alignment, also known as malocclusion, may develop bruxism. Sleep Conditions – Individuals with sleep apnea may also experience bruxism as part of their condition. 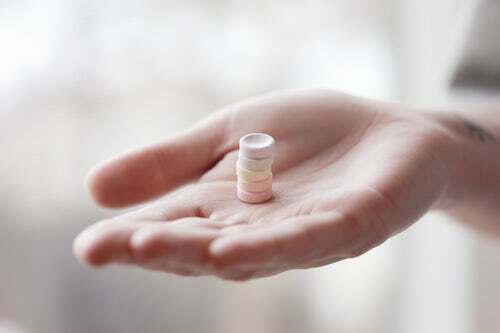 Other Medical Complications – Grinding can also be caused by specific psychiatric medications, complications from other medical disorders, and even acid reflux. If you suffer from bruxism, there’s no need to fret. Some individuals actually grow out of the disorder, whereas others suffer such minimal disruption that no treatment is required. Dental Approaches – A visit to your dentist can give you access to splints and mouth guards to prevent damage to your teeth. Of course, you can also consult your dentist to determine if misalignment is causing your problems and, if it is, you can determine an appropriate treatment solution. Therapies – For bruxism due to psychological factors, stress management, behavior therapy, and/or biofeedback may help address the underlying cause and eliminate teeth grinding in the process. Medications – Medications aren’t a common treatment for bruxism but in some extreme cases, doctors will prescribe muscle relaxants or Botox injections to relax the muscles and prevent grinding. As a disorder that manifests most commonly during sleep, it can be incredibly difficult to recognize what is causing your discomfort or dental complications. By better understanding the symptoms, causes, and treatments of bruxism, you can ensure that you find the relief you need, protect your smile from damage, and rest easy knowing that grinding isn’t wearing down your health. No cavities, no problem, right? Wrong! Even the straightest and whitest of teeth can fall prey to a serious case of receding gums, a common condition that can sneak up and do some damage before many individuals realize it’s even a problem. While a surefire way to detect and treat it is with regular visits to the dentist, meticulous at-home monitoring and preventative care is also a great line of defense. Here’s what you should know to keep the threat of gum recession at bay. Gums don’t recede overnight, but if you pay close attention, you can spot telltale signs of the problem: a tooth that appears much longer than its neighbors, yellow stains where the tooth touches the gum line, or even a ridge you can feel on the affected tooth, indicating your gums have shifted. Tooth sensitivity is another red flag, as a declining layer of protective gum tissue can leave nerves beneath the enamel exposed. Many things can cause vital gum tissue to detach and recede, but the most common culprit is untreated gingivitis. If you have gum disease, chances are that gum recession is just around the corner. Depending on the root cause, the rate of recession may vary, but being aware of all the possible factors can help you steer clear of other hazards and behaviors that will only aggravate the problem. The good news is that, if you do have a confirmed case of receding gums, all is not lost. Whether it is mild or extreme, in-office treatments are available to help halt recession — and in some instances, even restore lost tissue. Periodontal therapy is an effective procedure your dentist may recommend to put a stop to further gum erosion. This process involves laser treatments that target and sanitize the problem area(s). With proper care and time, it is possible for the gum tissue to reattach to the tooth’s surface. For patients with severe gum recession, the dentist may ultimately advise surgery. Grafting is one common option that may be offered, in which tissue from a donor or another area of your mouth is applied to the affected area. Crown lengthening, or “pocket depth reduction”, is another alternative that involves removal of diseased tissue altogether. This treatment may be recommended only if the gums have receded to such a point that tooth loss is imminent, and it can result in tooth sensitivity. No matter the source or severity of the problem, see your dentist for help. In addition to the positive impact that regular dental cleanings can have on your gum health, your dentist can craft the optimal treatment plan based on your individual situation. http://oralsurgerydc.com/wp-content/uploads/2019/03/unnamed-1.png 0 0 Miko Nkungula http://oralsurgerydc.com/wp-content/uploads/2019/03/unnamed-1.png Miko Nkungula2019-04-01 15:08:022019-04-17 16:01:08Receding Gums: Are Your Teeth in Peril? It can freshen up your breath faster than brushing, but does mouthwash really make a big difference when it comes to your oral health? You may be surprised to find that looks–or in this case, smells–can be deceiving! Oral rinses are not created equal, and if you’re not careful, some can actually be more harmful than helpful. Find out whether your go-to for gargling is doing you any good, or if another mouthwash makes sense for you. Comprised of various anti-microbial agents, these mouthwashes have plaque-fighting properties that can give your oral hygiene an added boost by inhibiting the growth of oral bacteria. Oftentimes, they may be further enhanced with fluoride to help combat tooth decay. Therapeutic mouthwashes proven to treat the root causes of bad breath are easy to tell apart from other mouthwashes because they come with an ADA seal of approval. In some cases, a special type of therapeutic rinse may be prescribed by your dentist. Similar in appearance to therapeutic mouthwashes, cosmetic rinses also promise to control bad breath, but a closer look at the label will reveal both the lack of active ingredients and an ADA seal of approval. This means that while your breath may smell fresher, the mouthwash only serves to temporarily mask the odor, and doesn’t specifically attack oral bacteria or built-up plaque. If you’ve reviewed the product details carefully, but are still unsure whether your mouthwash is therapeutic or cosmetic, call your dentist for confirmation. He or she can easily verify its safety and effectiveness. A cosmetic rinse might be right for you. Keep a travel-sized bottle on hand for occasional use if/when your breath feels stale or smells bad due to something you may have eaten. See your dentist first. He or she can determine the severity and likely causes, and advise whether the best solution can be found over-the-counter or if a prescription rinse is necessary. Either way, a therapeutic rinse will be most beneficial to keep bacteria at bay and help resolve your bad breath problem permanently. Look for therapeutic rinses that come with added benefits. Those who have trouble with tooth decay, for instance, may fare better with a cavity-fighting mouthwash enriched with fluoride. 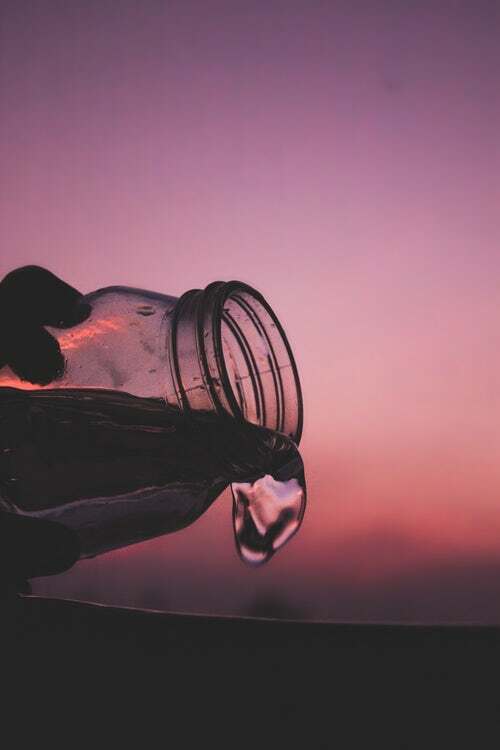 Others who struggle with dry mouth (“xerostomia”), burning mouth syndrome, or have noticed an adverse reaction to traditional rinses, on the other hand, should reach for a non-aggravating, alcohol-free rinse. Nowadays, mouthwashes come with different benefits to meet varying preferences and dental goals: from those with whitening ingredients to organic mouthwashes and beyond. No matter which rinse you choose, it’s important to remember that mouthwash is only meant to supplement–not substitute for–brushing and flossing. Ultimately, the best way to get rid of the bacteria and plaque that cause bad breath in the first place is with good oral hygiene and regular visits to the dentist’s office. To ensure your at-home routine is meeting your dental needs, be sure to share your hygiene practices and products with your dentist. Consider this a major score for your sweet tooth: dentists are taking back that hard and fast rule that gum and candy rot your teeth! A sweetener called Xylitol makes it possible to enjoy such treats guilt-free, while actually fighting cavities along the way. For those who have long kept the candy aisle off limits or those who cave to their cravings despite the risk of tooth decay, products with this game-changing ingredient may offer the perfect solution. Xylitol is a natural sweetener similar to sugar in both taste and appearance. It is found in many fruits and vegetables, but is most commonly derived from fibrous plant-based matter, such as corncobs or birch wood. It has received the World Health Organization’s safety rating when added to your diet in a moderate amount (15 grams or less), and only has a third of the amount of calories as sugar. Consumers familiar with other sugar-free alternatives may wonder how Xylitol stacks up against Sorbitol, a similar, less expensive substitute that has been on the market for a longer period of time. Although both compounds are technically classified as sugar alcohols, the primary difference is that cavity-causing bacteria can ferment Sorbitol. This means that, while it’s still friendlier to your teeth compared to sugar, it is not as effective as Xylitol at inhibiting oral bacteria growth. With so many Xylitol products on the market, incorporating this ingredient into your diet and/or hygiene is practically effortless. As beneficial as Xylitol may be, it’s important to know there are limits. From a nutritional perspective, excess intake may actually result in side effects such as stomach discomfort and/or diarrhea. From a dental perspective, Xylitol is but one aspect of preventative care, and should not be perceived as a magic bullet. Frequent brushing, flossing and dentist visits still play the same critical role in preserving your oral health. Consult with your dentist for an optimal approach to incorporating Xylitol into your everyday diet and routine. If you want powerful results, a professional teeth whitening treatment by your dentist is the best way to go. Your dentist has access to bleaching materials that are stronger than those available over-the-counter. This results in superior outcomes for your smile. When whitening your teeth, keep in mind that the results will vary from patient-to-patient and are dependent on the natural dentin color of your teeth. Advantages – In-office whitening is the safest and quickest treatment, producing results in just 60 to 90 minutes. Today, there are thicker peroxide gels available, which reduces the risks of gum and tooth sensitivity commonly associated with in-office whitening. Disadvantages – While peroxide gels have improved, some individuals may still experience sensitivity or irritation of the teeth or gums. These symptoms usually dissipate within 24 hours of the treatment, but, in some cases, could last longer. Pricing – Pricing varies depending on the length of treatment. 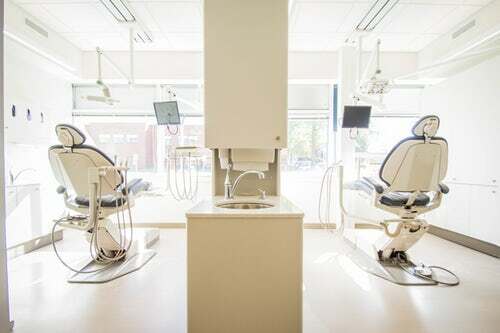 Basic treatments may take just 1 hour and average around $650, whereas more advanced treatments that require more time at the dentist office can cost upwards of $1,200. To take advantage of professional level treatment at a lower cost and in the comfort of your own home, an at home teeth whitening treatment is a great option. This involves a customized mouthpiece, which your dentist will create. You’ll put the teeth whitening gel in the mouthpiece and wear it for a few hours each day to maximize contact between your teeth and the gel. Advantages – An at-home solution is not only more convenient (because you can whiten on your own time), but it’s also more cost-effective. Disadvantages – While effective, at-home solutions produce results more slowly than in-office treatments because the whitening gel is less powerful. It usually takes 2 to 4 weeks to achieve results. 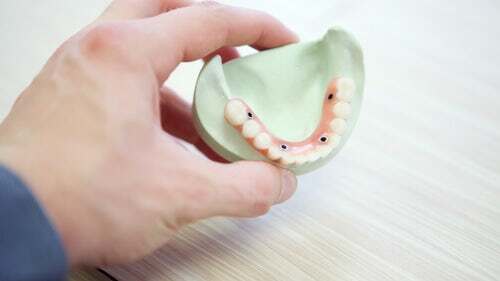 Additionally, patients have to visit the dentist approximately every week to ensure the mouthpiece fits properly and to check on the treatment progression. Pricing – At-home treatments cost substantially less than in-office treatments, averaging between $300 and $500, including all materials and dental appointments. There are both advantages and disadvantages of each professional teeth-whitening approach. While the speed and cost of treatment will vary, both deliver great results. Choose which works best for your needs, schedule and budget and prepare to be impressed by your new and improved smile! High-Tech Toothbrushes: Is It Worth Going Electric? The verdict is in: electric toothbrushes are here to stay, and they mean business for your teeth! By now, you’ve probably seen them on the shelves, on TV or in magazines. Dentists endorse them, and most are ADA-approved — but if you still swear by your manual toothbrush, these benefits just might convince you otherwise. Because a motor oscillates and rotates the bristles for you, it requires less energy to brush your teeth. Many even find the rounded handle of electric toothbrushes to be easier to hold, and with less force required, brushing can still be done thoroughly without using a tight grip. For the elderly, those with chronic arthritis, and children and adults with dexterity challenges, this alone can make electric toothbrushes the better choice for oral health maintenance. Thoughtful bristle design coupled with the automatic power of electric toothbrushes makes it easy to remove plaque from hard to reach areas. The constant rotating and even pressure can also result in a more consistent cleaning than you might achieve with a standard toothbrush. Often, electric toothbrushes come with a variety of heads that you can experiment with until you find one that cleans your teeth the best. Thanks to technology, electric toothbrushes come with many other bells and whistles that can help ensure proper hygiene. From timers that notify you once you’ve brushed long enough, to sensors that alert you if too much pressure is being applied or if the head needs to be replaced, electric toothbrushes can help you stay on track to meet multiple oral health goals. 4. Less plastic to be thrown away. Unlike manual toothbrushes, you don’t need to toss out the whole brush once the bristles are worn. Only the head of an electric toothbrush needs to be replaced, which means a lot less plastic that is thrown out in the long run. From an environmental standpoint, electric toothbrushes are also a better choice than battery-operated toothbrushes because they can be recharged. Just as there are pros to using an electric toothbrush, there are a few cons to be aware of before making a final decision. Price: Electric toothbrushes are significantly more expensive than manual toothbrushes; the price difference may cause some initial sticker shock. However, to keep costs down you can always purchase one electronic toothbrush and multiple detachable heads – for each member of the household. Convenience: Those who are frequently on the go may find it slightly cumbersome to have to pack a charger. If you’re interested in an electric toothbrush, however, don’t cross it off your list without trying a battery-operated toothbrush first. It’s similar in concept and feel, but much more affordable, and it can help you determine whether electric toothbrushes are worth the investment. A toothbrush loaded with features won’t do you any good unless you’re comfortable with it. For the sake of your oral health, it’s worth considering all the toothbrush options available, but choose the one you believe will best help you maintain good hygiene…whether it be manual or powered. If you’re still unsure and need additional guidance, ask your dentist for help; he or she may recommend a particular brand based on your unique dental needs. http://oralsurgerydc.com/wp-content/uploads/2019/03/unnamed-1.png 0 0 Miko Nkungula http://oralsurgerydc.com/wp-content/uploads/2019/03/unnamed-1.png Miko Nkungula2019-02-28 15:48:112019-04-17 16:03:07High-Tech Toothbrushes: Is It Worth Going Electric? Be honest: do you take the time to read through the lengthy medical pamphlets attached to your medications? If you thought the warning label on the back of the bottle had everything covered, think again! Often, there simply isn’t enough space to spell out every side effect on the container, and you could be overlooking important warnings to the detriment of your dental health. Should any of these oral symptoms suddenly arise, head to your dentist to find out if your medicine is to blame. 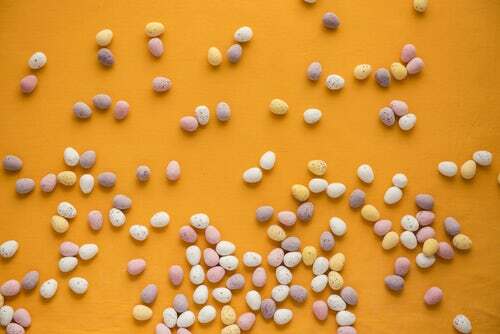 Pearly whites turned gray, yellow, green, blue or brownish in color is one of the more noticeable reactions your mouth can have to certain medications. Antibiotics like acne-fighting tetracycline, as well as antihistamines and anti-hypertension medicine, have the potential to cause irreversible discoloration if left untreated by a dentist. Getting immediate help is even more crucial for pregnant and nursing mothers, as they can pass this tooth problem on to their babies. Otherwise known as “ulcers” or “canker sores”, these inflamed spots can pop up along the gumline and the inner lining of your mouth and cheeks. 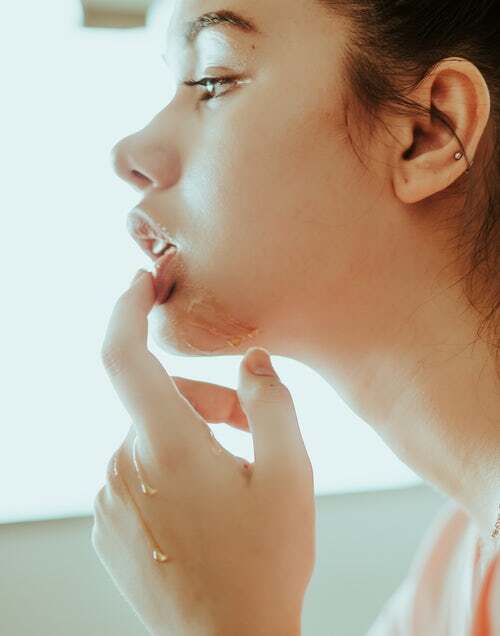 While they can be a one-time occurrence due to something such as a facial injury or food allergy, persistent cases can also be brought about by chemotherapy, radiation treatment, antibiotics, and medications to treat arthritis and epilepsy. Once a sore emerges, nothing can be done to speed up the healing time (between 5-10 days), but your dentist can prescribe medication to ease the pain. If you notice that food you normally eat starts to taste particularly metallic, bitter, or salty, read through the fine print of any medications you’re taking. Taste changes can be caused by a range of drugs, including antibiotics, blood thinners, antipsychotics, chemotherapy treatment, corticosteroids, muscle relaxers, and blood pressure medication, just to name a few. Rather than suffering through your meals, or letting your health take a hit, work with your dentist and doctor to identify and treat the cause. White, painful and bleeding lesions in your mouth and throat are an unmistakable sign of a fungal infection commonly known as “thrush”. It is commonly caused by a weakened immune system, but corticosteroids, antibiotics and birth control pills can also trigger an outbreak. Because thrush can cause fever and spread easily to other parts of the body, it’s best to see your dentist immediately for diagnostic tests and anti-fungal medication. Name the type of medication you use, and chances are it could cause dry mouth; hundreds of medications have the ability to inhibit saliva production. While dry mouth can leave you parched and more prone to cavities, chewing xylitol-based gum and drinking plenty of water can help combat the problem. Depending on the health benefits of the medicine you’re taking, it may be worth sticking to your current treatment and stepping up your hygiene to help manage your dry mouth condition. In some cases, blood pressure medication, seizure medicine, and certain immunosuppresants may cause gums to swell and start growing over the surface of teeth. This excess gum tissue can be a haven for oral bacteria, often resulting in tooth loss if left untreated. Being male and having an existing case of gingivitis are two known risk factors for this problem, but the chance of developing excess gum tissue can be minimized for anyone simply by seeing a dentist regularly for routine cleanings and exams. The fact that medicine can have costly implications for your smile may be a bitter pill to swallow, but being proactive and diligent about dental care can help you steer clear of problems altogether. To help protect your oral health, read through all the medical warnings of any purchased/prescribed drugs before taking them, and double check its safety by calling your dentist. It’s a common condition, but not one that people have to live with. In fact, there are just as many corrective methods for this dental problem as the names it has been given! If you (or a loved one) has buck teeth, get an in-depth look at what may have caused it and what you can do to prevent it from becoming a lifelong burden on your looks, oral health and self-esteem. The severity of the condition can vary from mild to extreme, and may gradually become worse over time if left untreated. Whether metal, ceramic or clear, it’s a popular route many orthodontists take to fix protruding teeth. Teeth that are jutting out are straightened and forced closer in alignment with the lower jaw by tightening the braces over time. In mild cases of protruding teeth, clear, removable aligners may be a more comfortable and convenient option. Aligners use less force (and thus result in less pain) than braces and can be removed for added ease when brushing or flossing. Extreme cases in which the overbite is due to skeletal/jaw structure may require surgery. 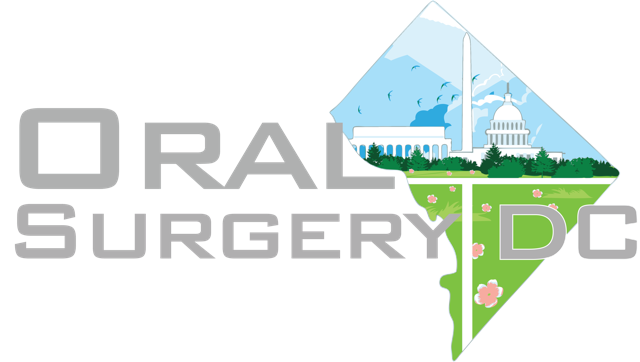 Patients who fall into this category are referred to an oral maxillofacial surgeon, and surgery usually involves pushing the maxilla bones (which form the upper jaw) behind, or moving the mandible (lower jaw) forward. Surgery aside, the length of time it takes to achieve results is largely due to when the problem is treated. 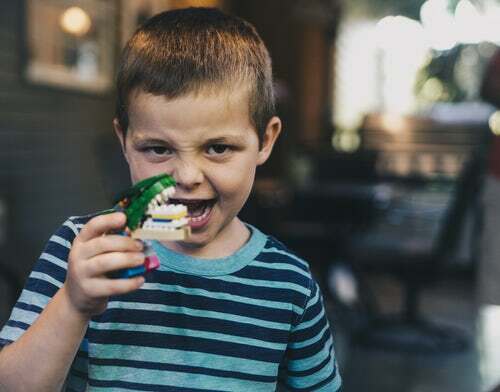 Younger patients whose jaws are still developing typically require less time to correct an overbite compared to adults whose jaws are not as malleable. Even the mildest cases of overbite can reap significant benefits from professional treatment. Perhaps the most noticeable improvement is cosmetic in nature. Once treatment is complete, any bulging around the mouth disappears and patients may experience less strain in their facial muscles. 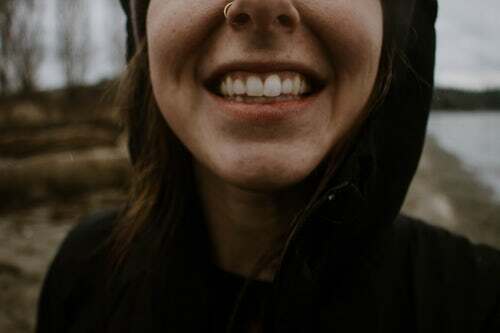 Being able to open and close the mouth more easily can also vastly improve speech, especially for those who adopted a slur or lisp due to an overbite. And last but not least, better alignment of the teeth can have a profound effect on oral health, making it easier to clean the teeth and minimize the risk of jaw-related disorders such as TMJ. If you’ve been battling a case of buck teeth, get it fixed for good by finding an orthodontist near you. click reference on Short On Time? This Hi-Tech ‘Triple Toothbrush’ Cleans In TEN Seconds! best financial planning tools on Short On Time? This Hi-Tech ‘Triple Toothbrush’ Cleans In TEN Seconds! financial advisor on Short On Time? 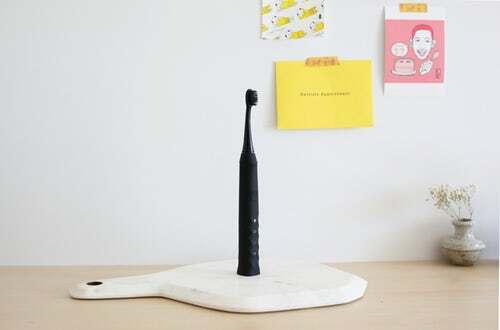 This Hi-Tech ‘Triple Toothbrush’ Cleans In TEN Seconds!